With two transmission options, you can pick the right machine for the kinds of tasks you need to complete. For quick acceleration, choose the continuously variable transmission. It’s the best kind of transmission when you find yourself miles away from your jobsite or need to get one last job done before the end of the day. For jobs that require the most torque, choose models with a hydrostatic transmission. It’s the best kind of transmission when you need to tow trailers through challenging environments, or regularly need to use attachments. All transmissions feature options for low and high range operation. Low range operation gives you maximum torque for heading uphill, pushing snow, or towing heavy loads. High range provides top speed when operating on hard-packed surfaces under light loads. Standard on 3400 and 3400XL models. When you need quick acceleration, CVT-driven models deliver the right kind of power. It maintains peak horsepower throughout the gearing range. That means you’ll stay at peak power, even during heavy acceleration. It’s ideal for active property owners, hunters, and landscapers. Standard on 3600 and 3650 models. For the most demanding tasks, hydrostatic-driven models deliver the best performance. The clutch-free design delivers steady torque to the wheels for better pulling power under high load applications. It’s ideal for buildings and grounds workers, homeowners who need to use attachments for chores, and construction workers. Tasks with frequent direction changes are easier too. 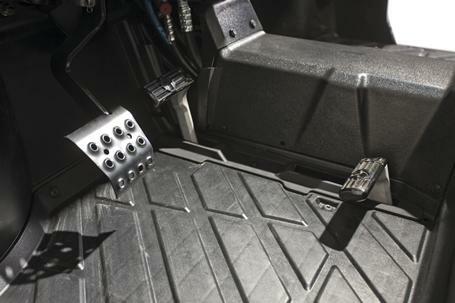 Changing from forward to reverse is as simple as pressing the travel control pedal back and forth with your toe or heel – no gear shifting required. Plow snow out of the way on narrow driveways using the snow blade or position to hook up a trailer. In general, hydrostatic transmissions contain fewer “wear” parts, meaning they work longer, require less maintenance and have fewer things that can go wrong. 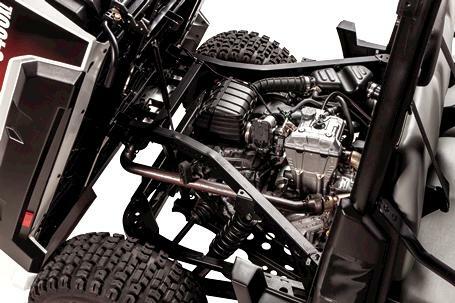 The hydrostatic system on Bobcat® utility vehicles does durability even better, with half the parts of comparable models from other manufacturers. Instead of having two motors, a single 2-speed hydraulic motor in the Bobcat® 3600 and 3650 has both high and low ranges that deliver a full spectrum of torque throughout acceleration. That means you don’t need to shift as often, further reducing wear and tear. Not only that, this simple but highly advanced design performs better than more complicated hydrostatic drives on the market.